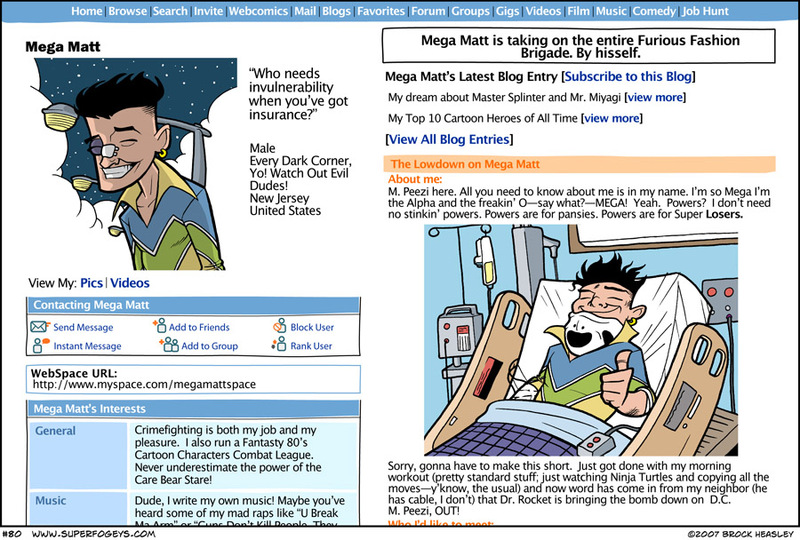 Mega Matt was done as a favor to Th3rd World publisher Michael DeVito. He has a friend, Matt, who is pretty much as you see above. Well, not exactly. But pretty close. I had a lot of fun doing this page and drew on a couple of my own friends for inspiration. In fact, I like Mega Matt so much that I have plans to bring him back in a couple of different upcoming storylines. If only so I can right some of his mad raps.